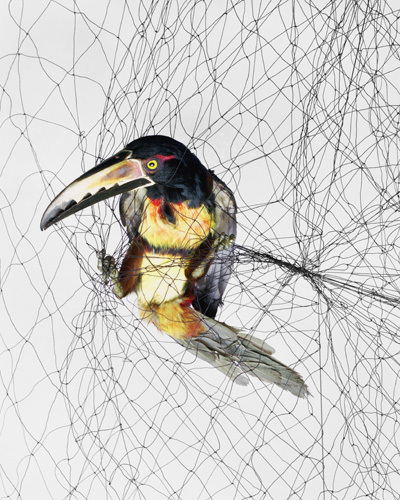 Todd Forsgren is the fantastic photographer whose vivid images of birds tangled in mist nets caused a bit of an internet stir a few years ago. I interviewed him about his images and his life birding in 2013. At long last, Todd's mist net photos have been collected into a book called Ornithological Photographs, now out through Daylight publishing. I urge all forward-thinking birders out there, all the hip birders, to pick up a copy. You may not look at birds again the same way. That's sorry as hell how bout sombody catches u I a net around ur dam neck an let's u hang long enough for few good pictures another example of a person who cares more about him self an profit than the animals that make his wrold spin just to hairlip!!!! To see it!!! !